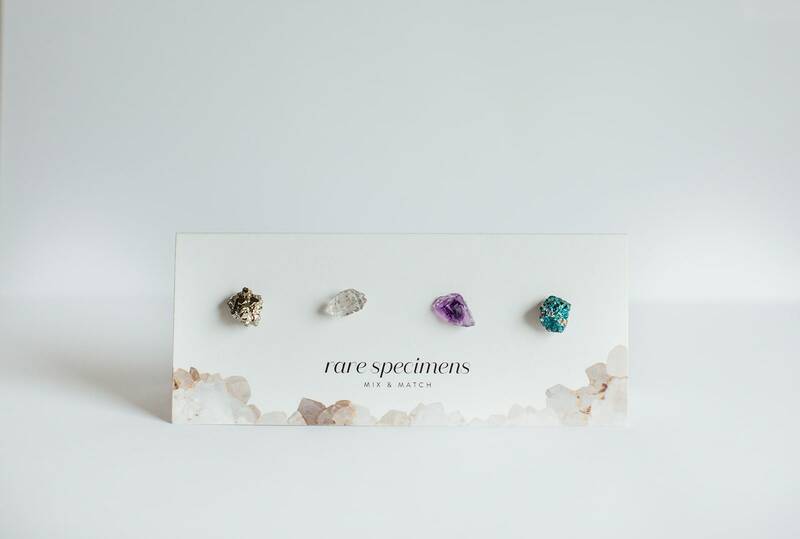 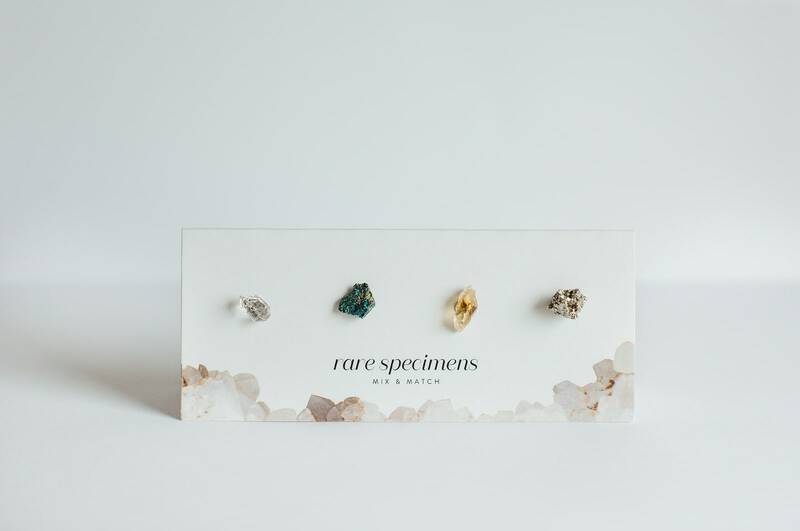 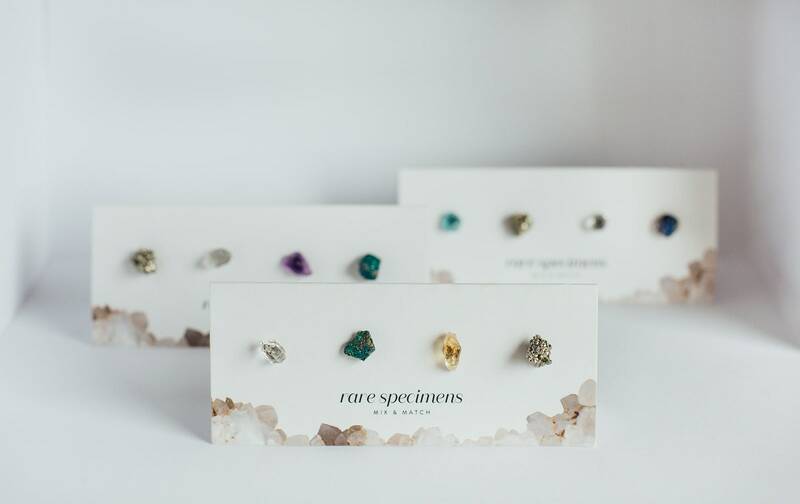 One set includes 4 different Rare Specimens earrings for mixing and matching. 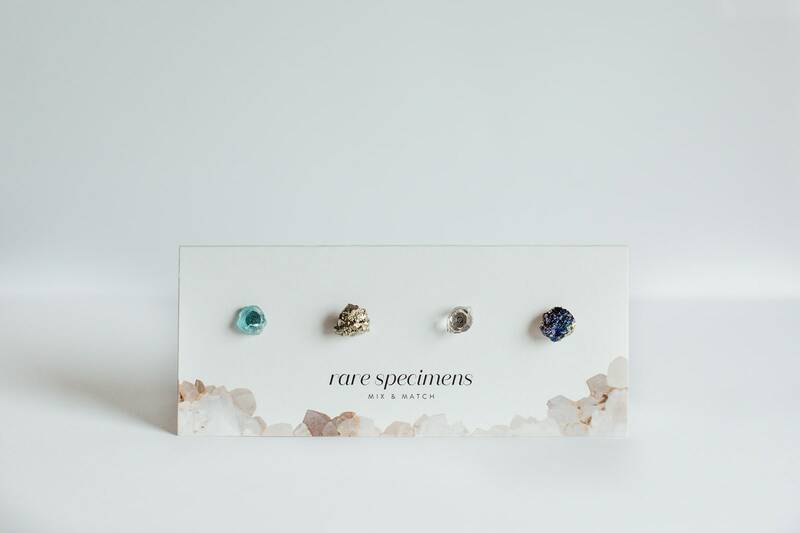 Earrings will all be a smaller size, and will include one of each of the most popular styles: pyrite, chalcopyrite and herkimer diamonds. 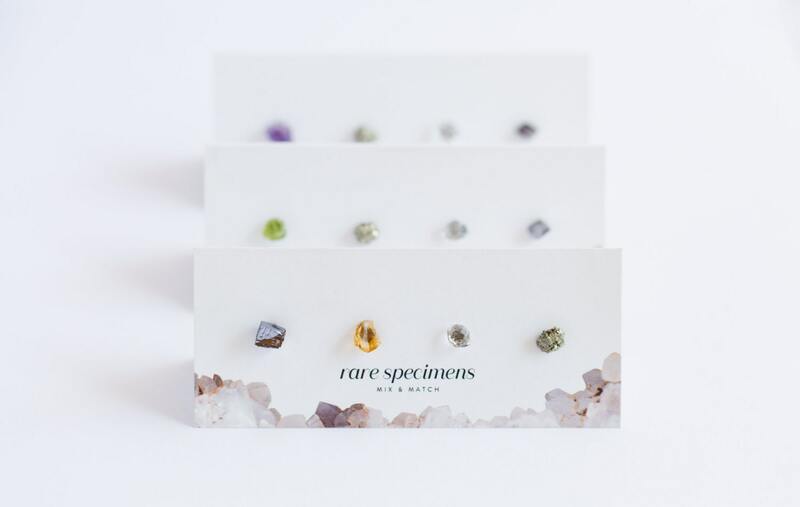 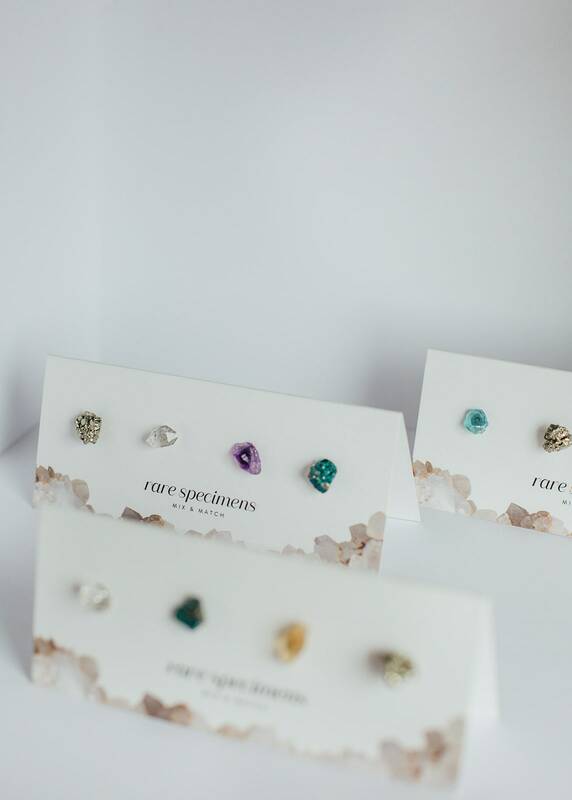 Choose the stone for your fourth stud.